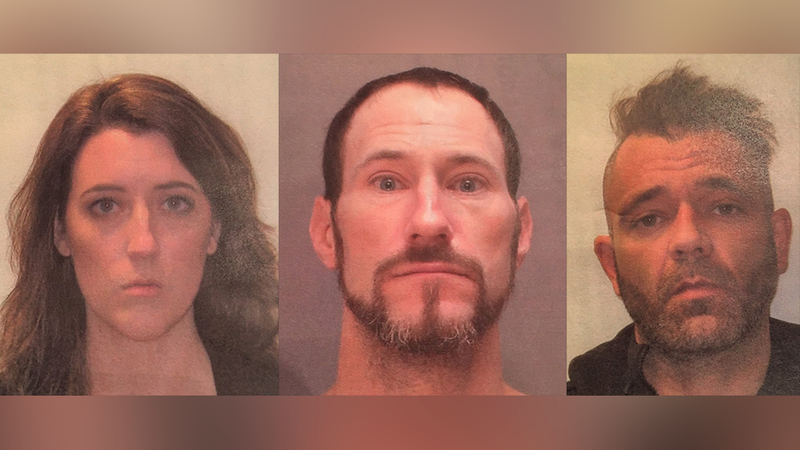 At a press conference this afternoon, prosecutor Scott Coffina told reporters that Mark D’Amico, Kate McClure, and Johnny Bobbitt Jr. are all being charged with second-degree theft by deception and second-degree conspiracy. The charges stem from the “Paying It Forward” GoFundMe campaign that authorities say was based on a story that was “completely made up.” While they believe it was true that Johnny Bobbitt Jr. was indeed homeless, they say that McClure’s claims that she’d been stranded on the interstate when Bobbitt appeared and used his last $20 to buy her gas never happened. According to a handout given to reporters, McClure and D’Amico are a couple who became “acquainted” with Bobbitt about a month prior to the launch of the crowdfunding campaign. Coffina told reporters that he believes the couple met Bobbitt near a local casino that they frequented. They would give him some money, and a relationship developed over time. He said that authorities don’t have much insight into the planning process or who initiated the alleged scam, but he claimed that in 2012, Johnny Bobbitt posted a story on his personal Facebook page that was remarkably similar to the one presented on GoFundMe. The GoFundMe campaign told an inspiring story of kindness that attracted donations from 14,000 people and garnered national media coverage. It wildly exceeded its original goal of $10,000, and Coffina said that, after GoFundMe’s fees, it brought in $367,000. Prosecutors are unsure what kind of agreement was reached for splitting the money, but a dispute between Bobbitt and the couple in a civil case is what brought it to their attention. Bobbitt claimed in September that he’d only received $75,000 of the money and he feared the couple had spent the rest. D’Amico told media outlets that the money was safe but he was giving it to Bobbitt slowly because the homeless veteran had a substance abuse issue. When a judge ordered the couple to hand over the money, they were forced to admit it was all gone and a criminal investigation was opened. Less than an hour after the GoFundMe campaign went live, McClure, in a text exchange with a friend, stated that the story about Bobbitt assisting her was ‘completely made up.’ She did not run out of gas on an I-95 off-ramp, and he did not spend his last $20 to help her. Rather, D’Amico, McClure and Bobbitt conspired to fabricate and promote a feel-good story that would compel donors to contribute to their causes. Attorneys for the accused either declined to comment or did not reply to Gizmodo’s requests. The law office of Christopher Fallon Jr. has been representing Bobbitt pro bono. McClure and D’Amico turned themselves in on Wednesday and Coffina said they were released without bail after booking. Bobbitt is in custody in Philadelphia and the process of extraditing him to New Jersey is currently underway, according to Coffina. Coffina stressed that he doesn’t want this one situation to discourage people from donating to good causes that are likely to be legitimate. He also expressed his sympathy for Bobbitt’s situation and thanked him for his military service. In an email to Gizmodo, a spokesperson for GoFundMe told us that the company is cooperating with authorities and that all donors will receive full refunds. “One fraudulent campaign is one too many, but when it does take place, we take action to protect donors,” the spokesperson said. If proven in court, the crimes carry sentences between five and 10 years.